The Diner is the newest Columbia, SC restaurant to occupy a graveyard of restaurant dreams, but this one seems to be here to stay. Few will remember the dingy Lu Lang Wang, a chinese restaurant that routinely “forgot” to check customer identification when ordering certain adult beverages. This new dining destination appears to be luring in customers with its daily “blue plate specials” and your classic diner offerings served up with a fresh twist, rather than with the promise of a cold frothy beer in underage hands. Artful presentation and a very flavorful salad. 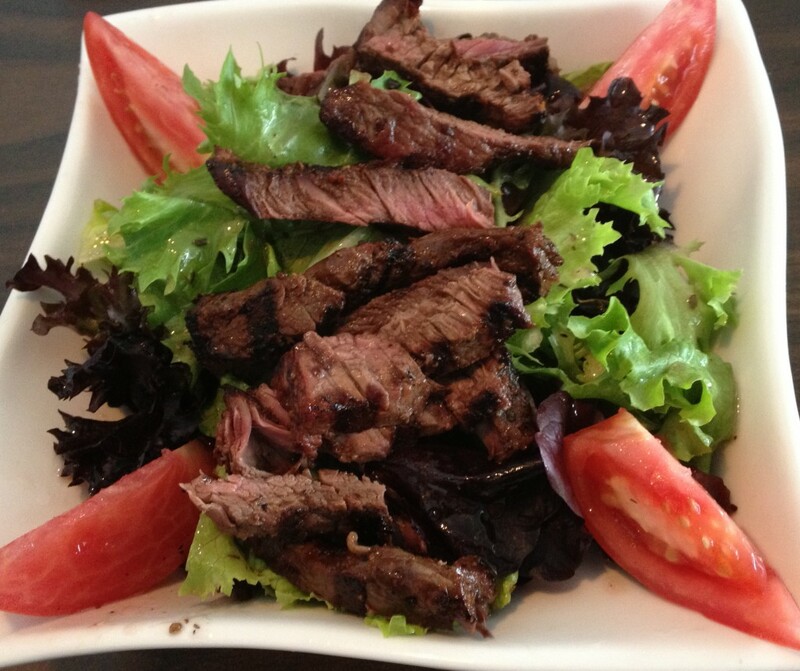 Grilled hanger steak seasoned with 12 peppers over mixed greens and tomatoes, served with vinaigrette dressing. The steak was the star of this tasty dish, the flavors grilled right into the tender meat. A great way to get in your daily serving of steak and a healthy dose of vegetables. 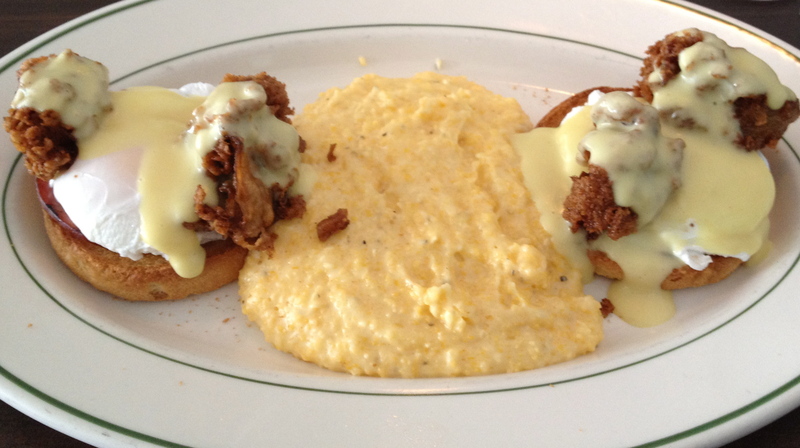 Another well presented plate: The “Oysters Benedict.” Fried fresh oysters on holland rusk poached eggs served with hollandaise sauce and a generous dollop of yellow grits. Nothing like a fork full of fried fresh oysters making a low sweep into a delicious pond of grits on its way into your yapper. Have not driven past The Diner without being impressed with the amount of customers they are bringing into this restaurant. A stark contrast to the desolate parking lots of the past attempts at restaurants. Apparently they are doing something that the people love, and we would have to agree. Another great addition to the Columbia, SC restaurant scene. Before you come in, check out their menu for yourself and find something to look forward to.